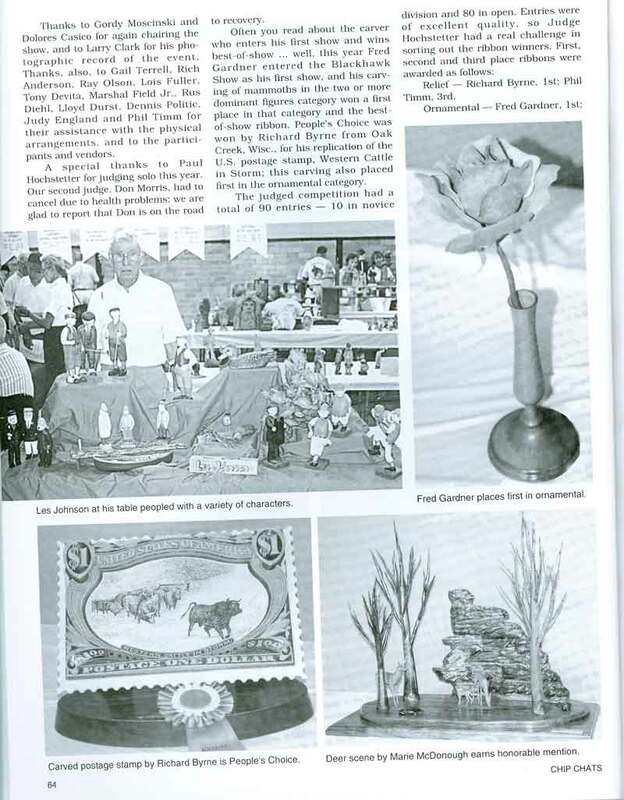 Paul Hochstetter was show judge at the carving show. Show was held at Ken Rock Community Center Rockford, IL. 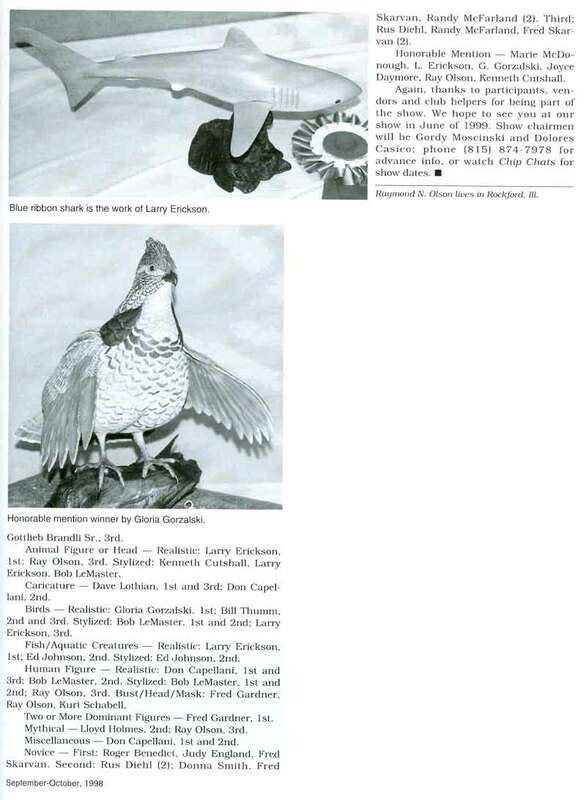 Ray Olson asked for carving to put on display around the city to promote club show. 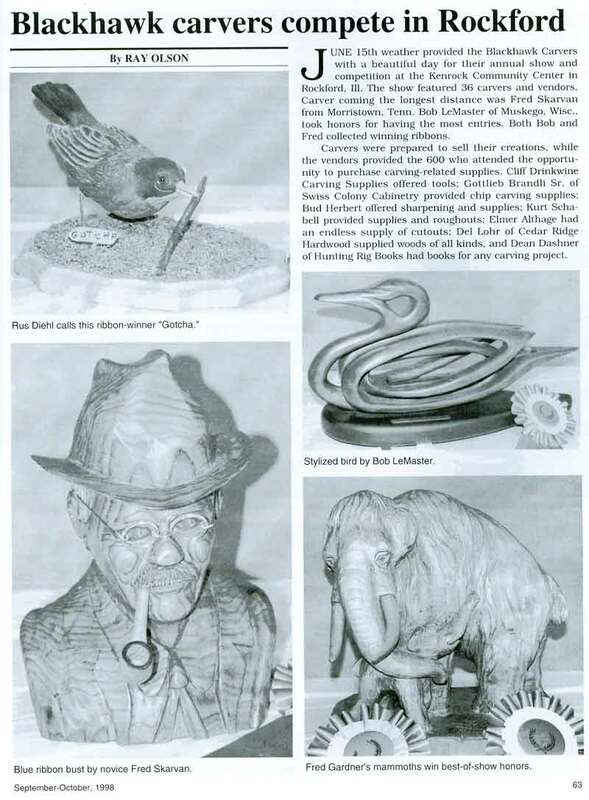 These carving were display in library and etc. Club member Rich Cook wife Arlene quest speaker talk about craft painting. Also, Bruce Quast quest speaker talk about carving cartoons. Gottlieb Brandli taught a chip carving class nine carver attended class. Club picnic was at Sinissippi Park. December meeting is Christmas party. Refreshment and tool swap and etc.